Gov't Mule's first live album, LIVE AT ROSELAND BALLROOM, has been out of print for nearly a decade and is highly sought after by fans and collectors. Evil Teen Records is proud to re-release this definitive recording Tuesday, May 1st, 2007. Originally released October 22, 1996, the concert was recorded on December 31, 1995, and is an early hint of what has become Gov't Mule's perennial New Year's Eve run at New York's famed Beacon Theatre. LIVE AT ROSELAND BALLROOM features Gov't Mule's founding lineup: Warren Haynes (guitar/vocals), Allen Woody (bass) and Matt Abts (drums). The recording rocks with original classics Trane and Mule; and a majestic cover of Steppenwolf's Don't Step on the Grass, Sam. A bonus track, Voodoo Chile, will be included from Gov't Mule's October 18, 2001 Roseland Ballroom concert. 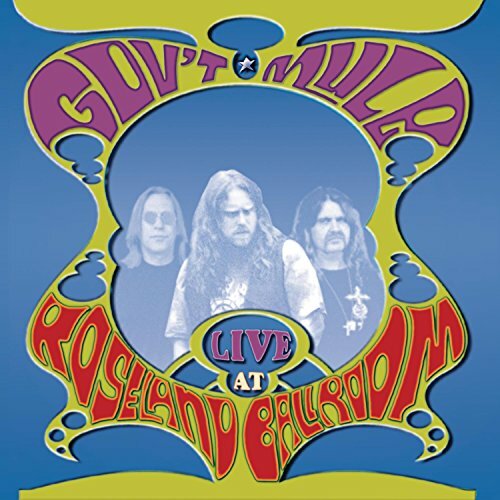 LIVE AT ROSELAND BALLROOM demonstrates Gov't Mule's prowess, ambition and importance, as well as why Warren Haynes has been heralded by his contemporaries and Rolling Stone as one of rock's greatest guitarists ever. LIVE AT ROSELAND BALLROOM is a multi-track recording, but is presented as it was performed with no overdubs. It is the precursor to the two track recordings available at MuleTracks.com, which since 2004 has delivered 1,000,000 tracks downloaded. If you have any questions about this product by Evil Teen Records, contact us by completing and submitting the form below. If you are looking for a specif part number, please include it with your message.